Another Friday, another pot of tea. Each week, we spend just two hours getting to know a game. If we don't approve, we know not to speak of them again. 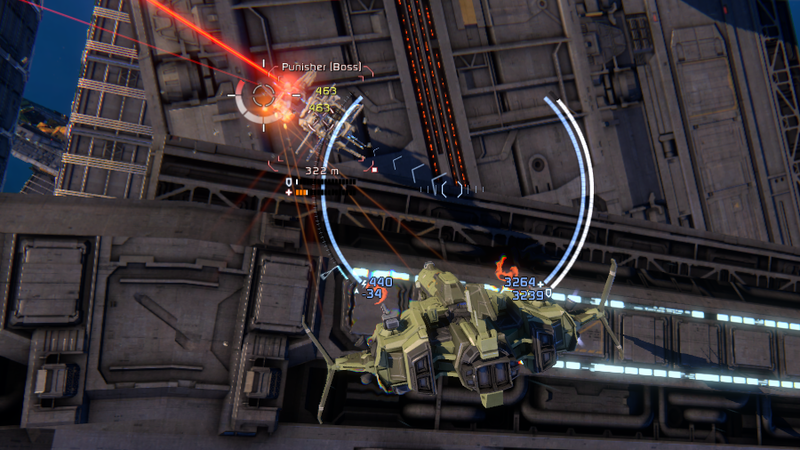 For this tea time, we have invited Star Conflict: a free-to-play space combat game with a matchmaking system that is primarily focused on PVP. If anyone expresses exasperation at this style of game becoming popular, feel free to slowly turn the volume up on your boombox until they're drowned out by Danger Zone. 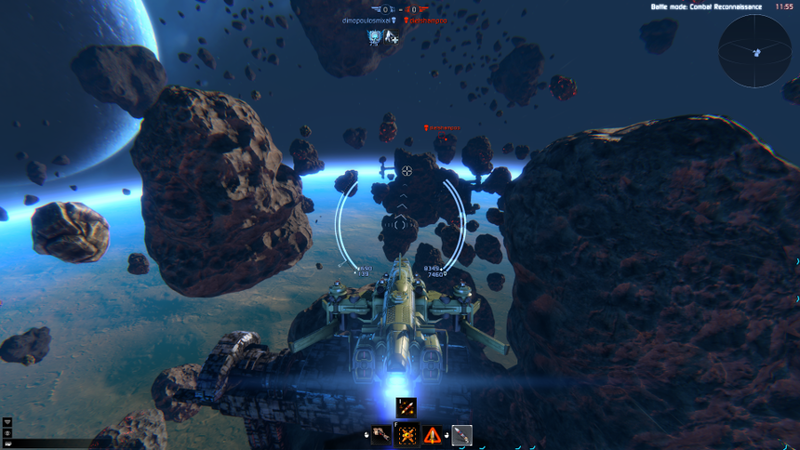 Star Conflict advertises itself as a "massively multiplayer space simulation game." This is a creative bending of the truth in two ways. It's a lobby-based game, which most people wouldn't call an MMO. Simulation implies some degree of striving for realness, but the controls and gameplay are arcade-style. Anyone familiar with free-to-play-but-there's-a-cash-shop games will feel at home here. Some people look down on games that go with the lobby-based/cash-shop model, but it's easy to see why it's a popular choice these days. Cash shops do make money for games that aren't must-buys, and lobbies are great way to spare players from poorly implemented "connecting" pieces of gameplay that the developers probably didn't want to make in the first place. No More Heroes' overworld map springs to mind. So let's forgive Star Conflict for this little lie. It just wants to impress us. It carries on with an inkling of a story as you are invited to choose between three classic sci-fi factions - Evil Empire, Heroic Hippies, and Weird Dudes. Even then, the game assured me that my choice would have almost no bearing on my playing experience. That's OK. If Star Conflict wants to give us engine, let's talk engine. It allows me to guiltlessly drop my "find the story" side quest, anyway. Oh, asteroids. I could avoid missile locks by hiding behind you all day long. Star Conflict is a game that I'd describe as "casual" rather than "simulation" not to insult it but because there is a well-defined market out there for super in-depth ship to ship battles. This game is not one of them. The controls are simple: mouse points where you go, buttons control the thrusters and abilities. From the main browser, you can queue up for a variety of scenarios, largely focused on PVP. There are two competitive modes: one with a respawn timer and one with limited spawning. There is also a cooperative mode that pits you against waves of enemies and a boss. My instincts told me that the 'vs AI' mode would probably be boring so I tried it first. It was either way too easy or my decision to wear aviators while playing paid off. The scenario was probably scaled in difficulty. It's still a little degrading to be able to fly through an entire formation of enemy fighters, attempt and horribly fail a corkscrew loop, and then slowly turn around and kill them one by one with your starting lasers without having to worry about your shields even registering danger. The boss eventually showed up and promptly flew into a wall. He tried to slowly slide free but was thwarted by one of my teammates heroically crashing into him. Suspicions confirmed. On to the PVP matches. Queuing up will randomly match you with other players and - as far as I saw - select a random scenario, of which there were two. Either you attempt to plant bombs on enemy control points while guarding your own, or you attempt to eliminate the enemy commander player, again while guarding your own. The biggest problem was map size and layout. The battlegrounds are too large, meaning that a good majority of your time will be spent hitting the afterburners to close distance. That is, if you're cocky. Just like any other team vs team game, overextending is a great way to get yourself killed if you don't know what you're doing. If you do know what you're doing, you've probably made a successful suicide run on the enemy's installation or commander and ended the game. The size of the maps also made respawning a chore. The amount of time that it takes you to get back to the fun part should be appropriate for the pace of the game. Something more strategic with a high risk-vs-reward consideration can afford a more thoughtful pace. An arcade-style space combat game with simple objectives and few considerations for complex teamplay needs something faster. This may change later as I imagine there are ways to upgrade speed and weapon range, but why punish new players? The layout of the maps meant that when the fighting did happen, it was very predictable. With few places to hide, players had to rely on either their ship's durability (including things like anti-missile systems) or maneuverability. None of the tier one ships I used were especially capable of complex dogfighting, especially when there's no gravity to use against your enemies. The guarantee of frigate pilots playing D in the back waiting to snipe you means that the asteroids scattered around the map are highly important. 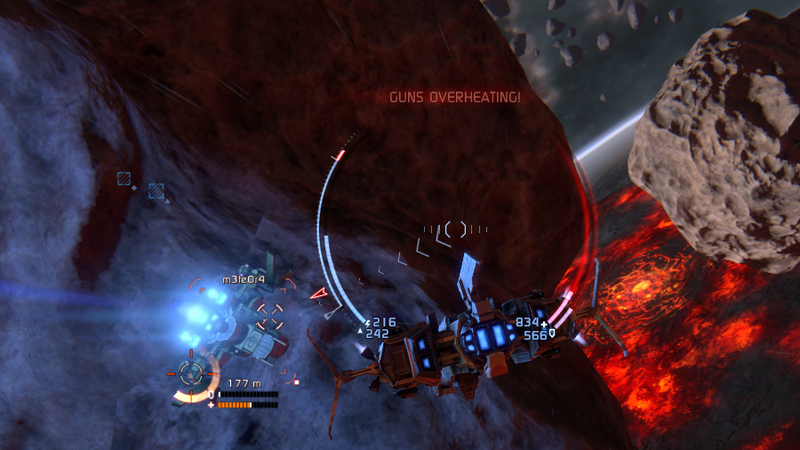 I did get into a few fun fights chasing people between asteroids, but with the simplicity of the controls and wide firing arcs, it was almost impossible to lose someone. People who tried to run from me were worn down. The ones that just turned around and started firing back were far more effective. I have seen some players complaining that at higher experience levels, games are ruled by firing lines of frigates that shoot down anything that tries to get near them, with the occasional speed-focused ship trying to sneak around and accomplish objectives. From what I saw, that isn't hard to imagine. If there's going to be a cash shop, there's got to be something to buy. Space Conflict has a persistent advancement system focused in three areas: new ship models, equipment to attach to your ship, and implants to attach to your pilot. These are all unlocked with whatever they decided to call their version of in-game and real-world monies. 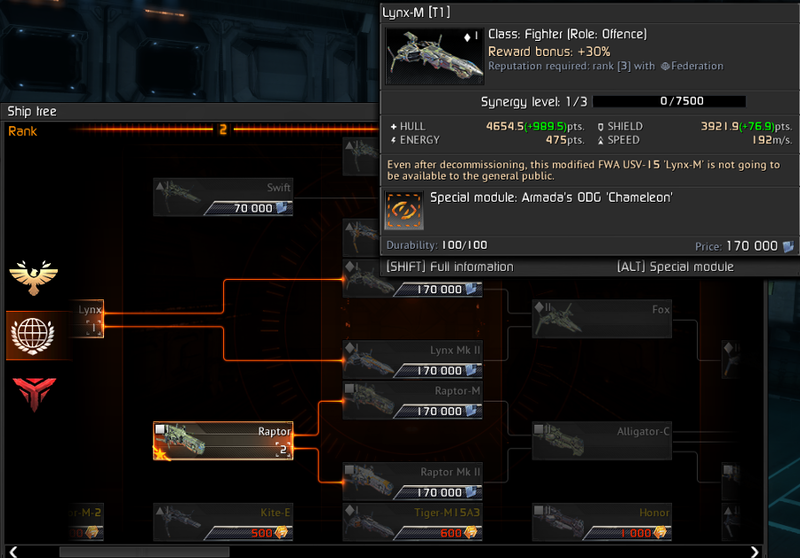 Each ship can only equip certain kinds of weapons and modules, and there is further variation in these kinds. Beyond that, Star Conflict uses the Diablo-esque differently colored name and 1.2 seconds more activation time or whatever. The real-money items were better but seemed to have equivalent fake-money versions. I'm told that the game maintains this philosophy at higher levels, which is the healthiest way a company can go about having a cash shop. T2 Mk. II v.9 Series 23 Armada-pattern Laser Array of the Owl. Some of the ships were purchasable only by cash, though a quick look gave me the impression that they seemed to be more like variants than superior models. Successful missions allow you a chance to hit the loot pinata for some free money or, rarely, an equippable item. This seems to be where the real power lies, and it may be the purpose behind the 'vs AI' mode - when I completed one, I was granted a guaranteed treasure pickup rather than having to select at complete random. The tech trees are large, but it felt like a lot of fluff. Many of the ships are variants of each other, broken down into the core Interceptor, Fighter, and Frigate classes. The Roles appeared largely to dictate what modules that ship would be able to slot. The special powers were repeated often, though sometimes they were unique in some small way - for instance, drones that shoot and repair as opposed to drones that shoot and absorb missiles. GDI vs UN vs Transformers. 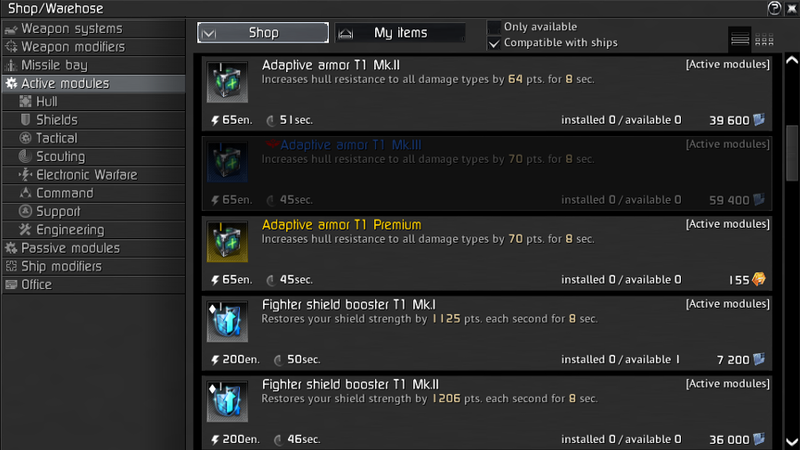 Star Conflict is actually in beta. Kinda. The Steam store page makes no mention of it being in beta and claims that the release date was Feb 27, 2013, which may have just been its appearance on Steam. You can drop quite a bit of money on game packs ranging from $20 - $80. The website itself does still have an April 2012 beta trailer up on the main page, and the game's version is 0.7. If I had known that Star Conflict was still in beta, I would have been more charitable - though you can hardly blame me for getting the wrong impression. That little addition transforms this middle-of-the-road ugly duckling to a maybe-awesome swan. Further tweaking can turn this game into something that space enthusiasts can be really proud of. Things like the depth of the ship/equipment system can be filled out. It's not just a matter of polishing the maps, either. The true test will be how they handle the dreaded real-world creep. Mechwarrior 4 multiplayer was dominated by people emulating tank tactics and using hills to go hull-down despite piloting giant robots. 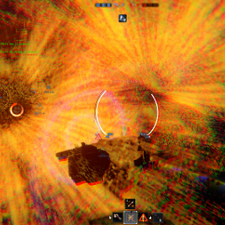 Special gameplay considerations must be made to prevent Star Conflict's dominant tactic from becoming zero-g artillery duels. Want to check out Star Conflict before then? Visit the website or find it on Steam. Want to suggest a new tea time candidate? Contact me at madamarcadia@aristogamer.net.